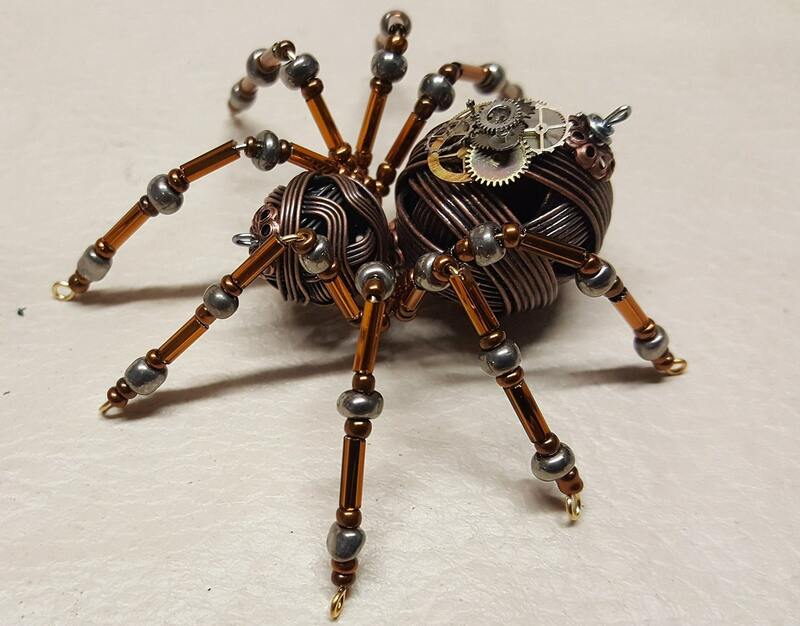 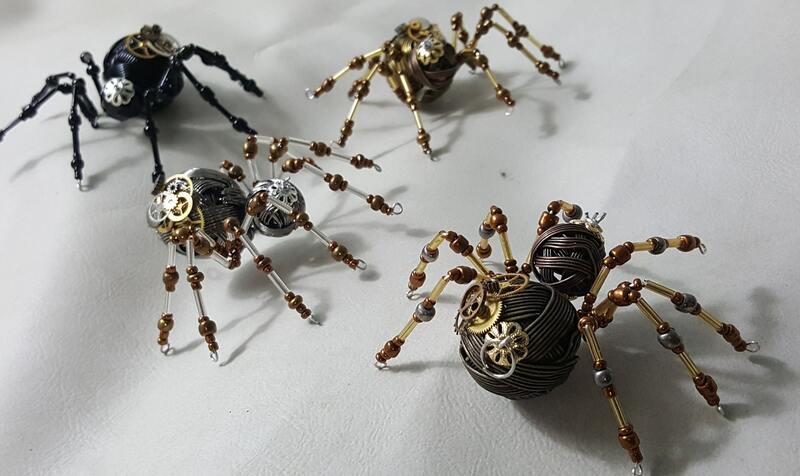 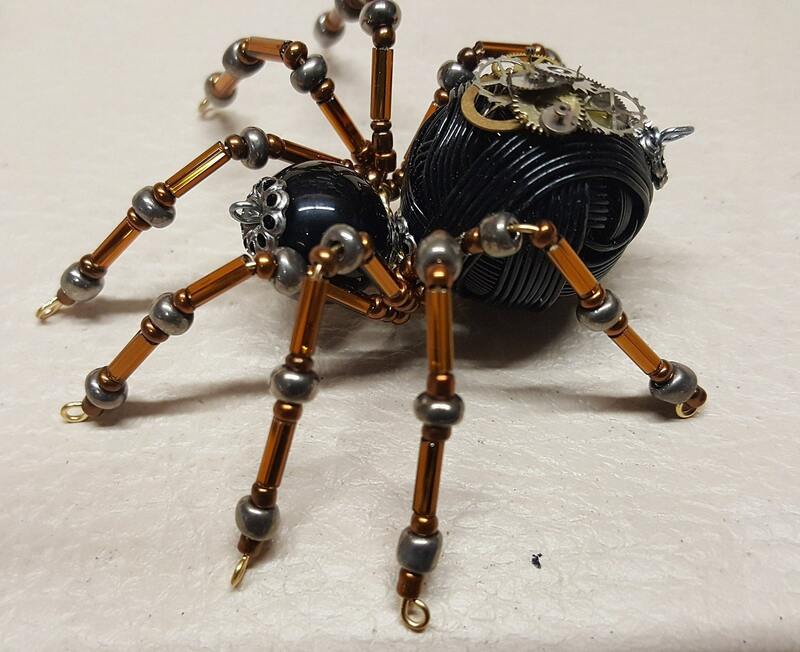 This is a handmade beaded metal spider. 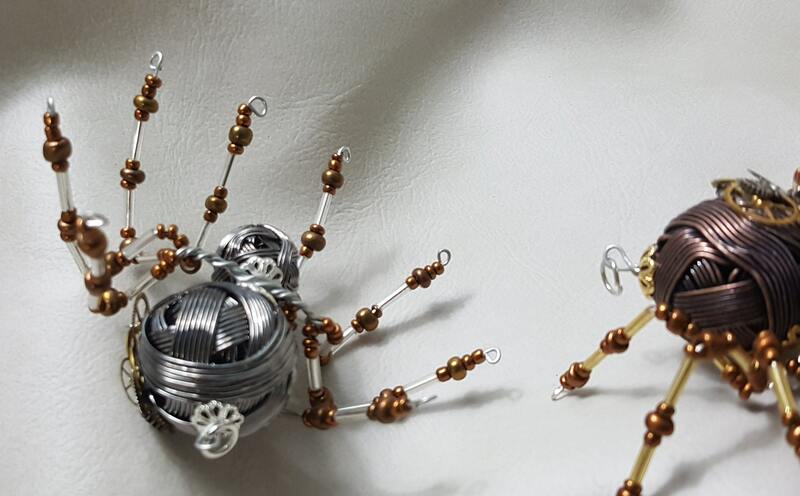 The abdominal area is made from a large woven metal bead which is available in brass, black, copper or silver. 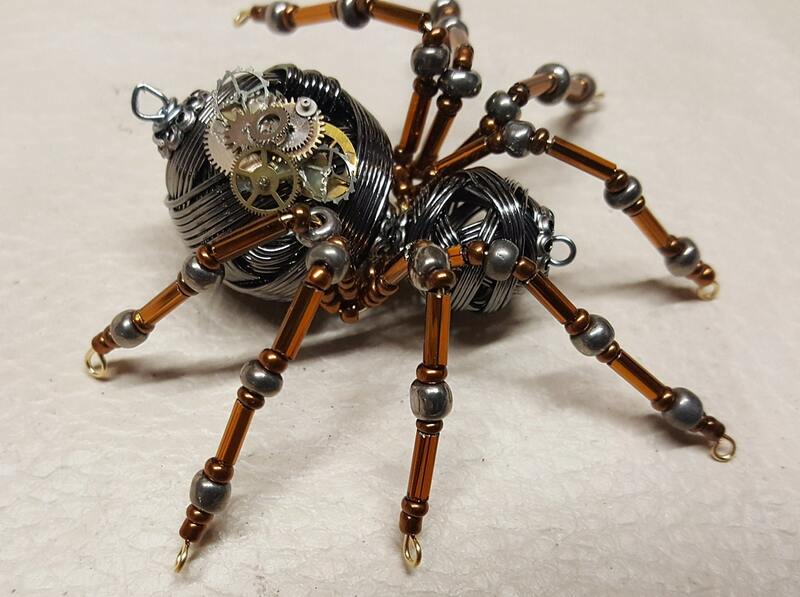 Small gears have been mounted to the side as well and may vary slightly from spider to spider. 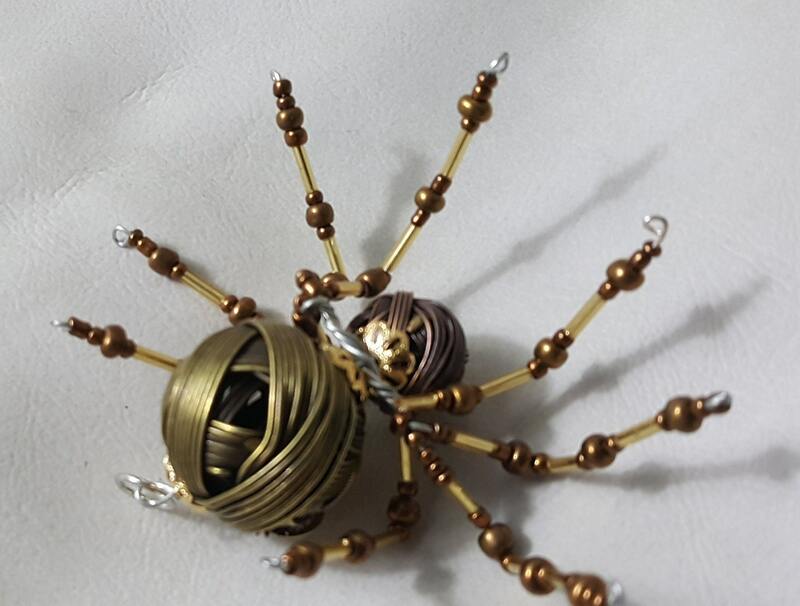 The head is a smaller woven metal bead available in the same colors. 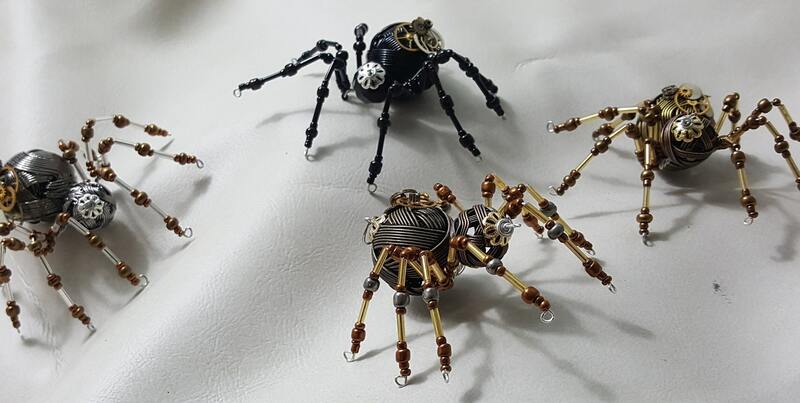 The legs are made from flexible but sturdy 21 ga. wire which are covered with small Swarovski Crystal glass beads and can be adjusted to almost any position. 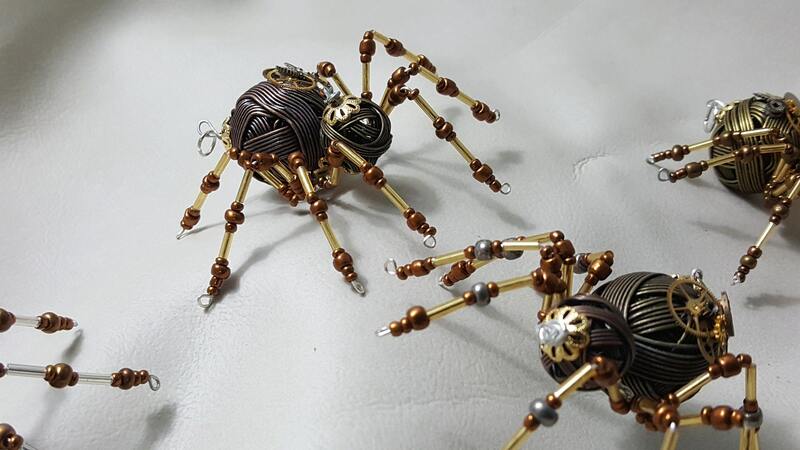 Silver or gold bead caps are also incorporated into the body. 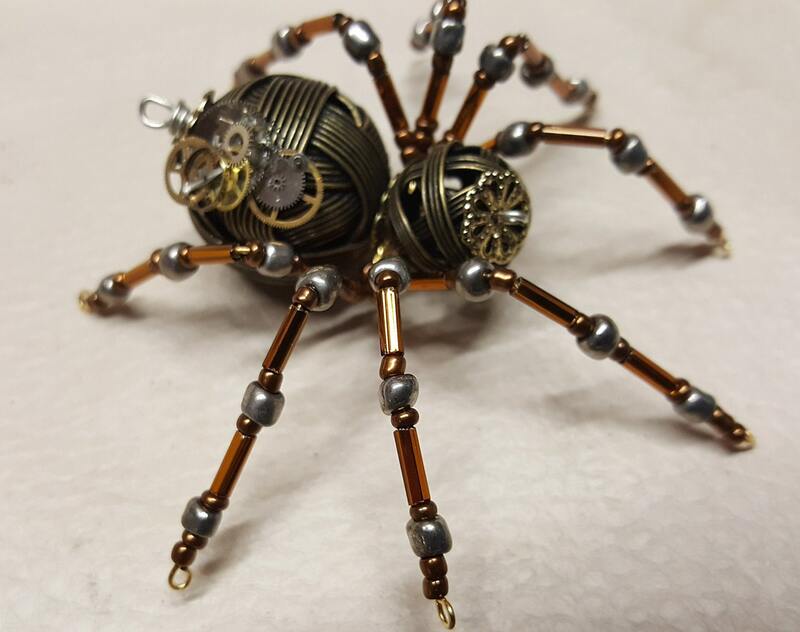 A 2" decorative hook is attached to the back of the abdomen and can be used to hang the spider or be removed. 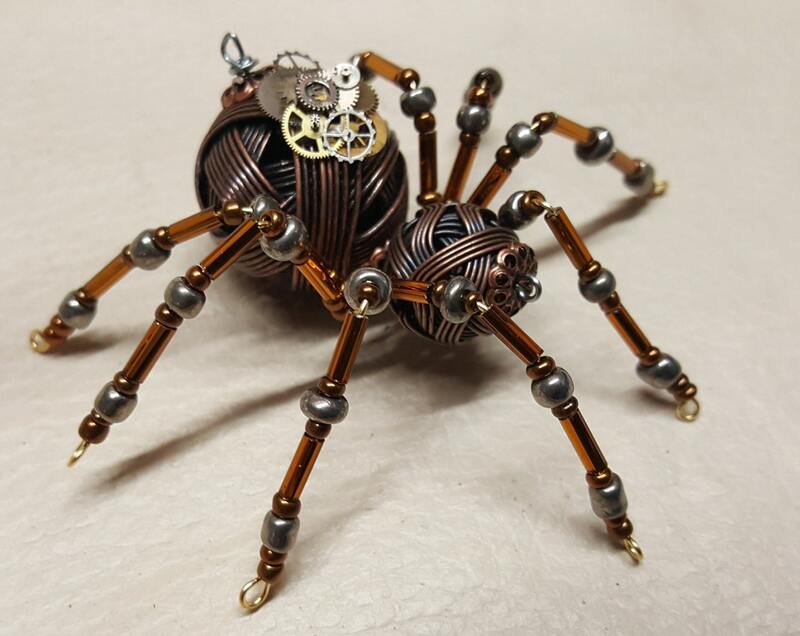 Weighs approximately 5 ounces and is 2.75" long.